Recovery Time:When smashed;a MAVIS shuttlecock recovers in only 0.02 seconds. 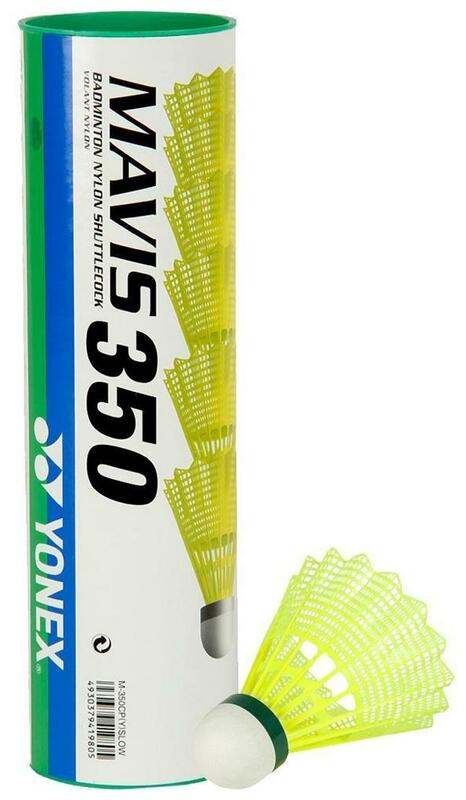 This performance is just 0.005 seconds slower than a YONEX Feather shuttlecock and 0.008 seconds faster than the recovery of an ordinary shuttlecock. Playing Conditions: layers should always use the shuttlecocks best suited to the playing environment. The hardness of the skirt - the feather part of the nylon shuttlecock - varies depending on temperature. In the cold;as the skirt becomes hard;it is prone to breaking. In the hot;the skirt becomes softer and less likely to break;but the feel at impact is affected by the softer skirt. Flight Pattern: Developed using the flight timing of feather shuttlecocks;MAVIS Nylon shuttlecocks are precision designed and manufactured to provide accurate flight performance.